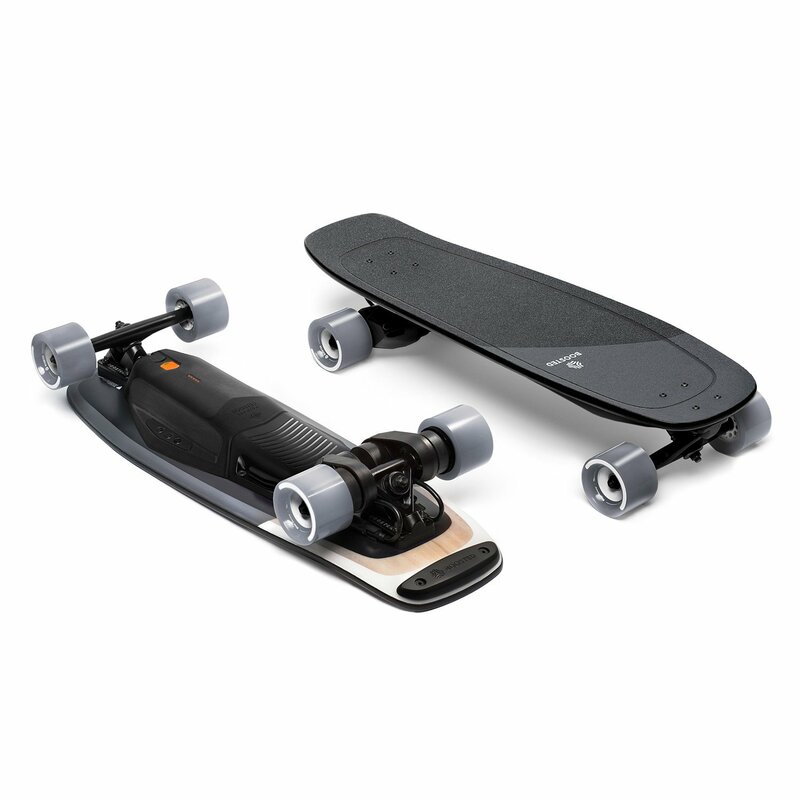 Featured as one of the Best Electric Skateboards. The Boosted Mini X electric skateboard is what they are calling the ‘stash-and-go’ Boosted experience. It is only 29.5 inches long so it never feels like it is in your way and it fits easily into stow away areas on trains and buses. They have redesigned the deck using high-end snowboard manufacturing techniques. That makes it lightweight yet strong with an optimally smooth riding experience. With their deep-dish concave shape and kicktail design, it gives the rider superior control and manoeuvrability. The Mini S offers powerful acceleration and smooth, secure braking just as you would expect from Boosted. With their three different ride modes, you get acceleration curves to match the compact board. The Boosted Mini is where power meets agility!